Julieta Celeste Imperiale was born in Buenos Aires, Capital, in 1984. She received his Pharmacy in 2010 at the Faculty of Pharmacy and Biochemistry of the UBA. There, in 2013 she obtained the title of Doctor of the University of Buenos Aires, Pharmaceutical Technology Area with a Graduate AGENCY scholarship specializing in the field of nanotechnology. In 2014 she obtained a postdoctoral fellowship from CONICET in the Faculty of Exact Sciences of the UBA. In 2015, she entered the Career of the Scientific Investigator of CONICET as Assistant Researcher. 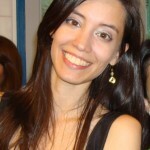 Besides dedicating herself to research with great passion, Julieta is dedicated to teaching having completed a teaching career and is currently pursuing a master’s degree in university teaching. She currently works in the LABORATORY OF GLUTAMATE TRANSPORTER NEUROBIOLOGY. Her free time is spent enjoying his family and friends.